Xiaomi mi tv box review Android TV. xiaomi mi box review, price and launched date in India. 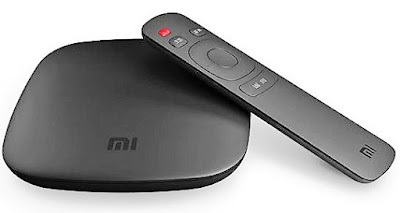 We had the opportunity to talk to global Xiaomi VP Hugo Barra at Google I/O 2016 this year where he showed the new Decoder mi box 4k that the company launched at the developer conference, powered by Android TV. Xiaomi Mi announced that his Mi box is available in the United States. The price of Mi box in USA is $ 69 only. The special feature of the new Mi Box is that it works with Android TV (v6.0) and does not work with MIUI TV, and can also stream at 60 frames per second 4K video. It supports HDMI 2.0a and HDR10 and in sound it supports both Dolby Digital Plus and DTS surround sound. The Mi Box is powered by a quad-core ARM Cortex-A53 CPU with a Mali 450 GPU and 2 GB of RAM. It has 8 GB of built-in memory, which can be expanded via USB. It also comes with a Bluetooth-compatible remote control that supports language search and is also compatible with the game controller, Mi Compatible. Android-based TV allows you to run a variety of streaming and regular android applications through Google Store and streaming applications such as playing Sling TV, Pandora, Vudu and more. In Google I/O, Hugo Barra, from Xiaomi, also talked about a strong demand for smartphones Redmi Note 3 and Mi 5 in India. He said that Xiaomi sought to stimulate the production of the two smartphones for the Indian market, and showed that the black variant of Mi 5 will soon arrive in India with other SKUs. He also promised that Mi box will soon available in Indian market but did not hinted about the Mi box india launch date. Included accessories: Bluetooth voice remote control, HDMI cable, user guide. Power input: 100~240V 50/60Hz input, 5.2V, 2.1A output.